We take the time to write research and reviews on the Nissan Versa, because we know your next Versa purchase is important. As the well-known automotive writers performed countless hours of research on the Versa to provide you with the best information possible. This article will tell you exactly what you're looking for. 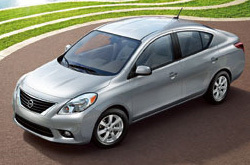 As your Albuquerque Nissan dealership, you can entrust on us for true information on the 2013 Nissan Versa. Does the Versa have your name on it? Read more and find out! By examining the 2013 Nissan Versa side-by-side with the 2013 Hyundai Accent, Ford Fiesta and the Chevy Sonic, and you can find that the Versa trumps those autos in numerous zones. Catch a glimpse of the hightlights below. Reliable Nissan auto repair service in Albuquerque is only a click away! Your Nissan deserves to be treated properly - that means Nissan factory- trained technicians, accredited 2013 Nissan Versa parts, and the sense of bliss that comes from a 12-month service work warranty. 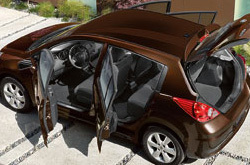 Reliable Nissan's auto service craftsmen will help keep your Nissan Versa in muscular physical shape. We handle a large spectrum of jobs, including everything from conventional multi-point inspections and fuel filter replacement to complex operations like transmission maintenance and more. Reliable Nissan is your safe bet in Albuquerque for quality, professional Nissan repairs and routine maintenance. Click the upcoming link to find unbelievable service specials now!